Length 32 ft. 9 in. $325 per day; 4 day minimum April-Sept, 3 day minimum Oct-Nov, 2 day minimum Dec-March. Reservation deposit of $250 (unless 21 days or more) Security deposit $400. Rates starting at $325 per night or $1,999 per week. This smartly-styled motorhome from Winnebago offers a fresh and attractive interior with vinyl flooring and LED lighting throughout, as well as tinted windows that will prohibit the sun's rays from damaging the beautiful furnishings. Every inch of this coach has been designed to be superbly functional with amenities like the booth dinette that is able to be used as a dining area, seating area for travel, or sleeping area. 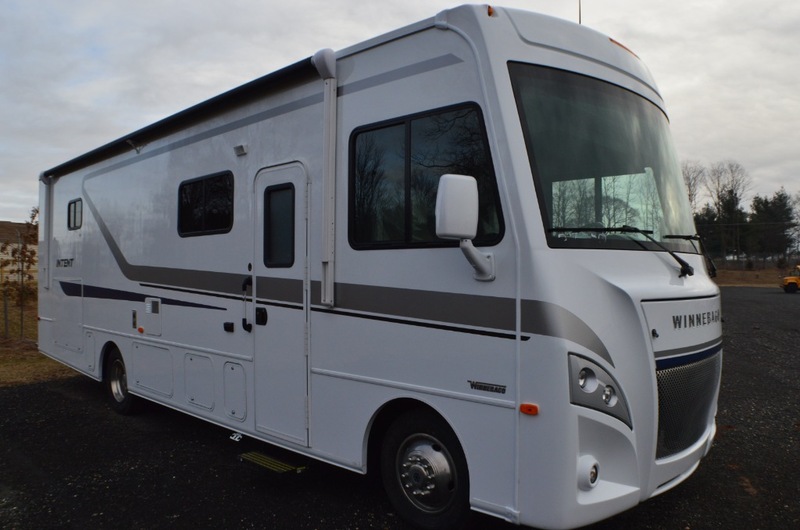 Additionally, this coach is supremely affordable, yet it still adheres to the solid foundation standards that you have grown to love from Winnebago.